Vespa Elettrica scooter production model to make its debut at EICMA in November as the concept model was revealed at the same expo last year. The company will begin production of Elettrica scooter at its Pontedera plant in Italy next month and bookings will open in October, but the company is yet to announce the price. The sales will commence in Europe first, then followed by US and Asia in early 2019. 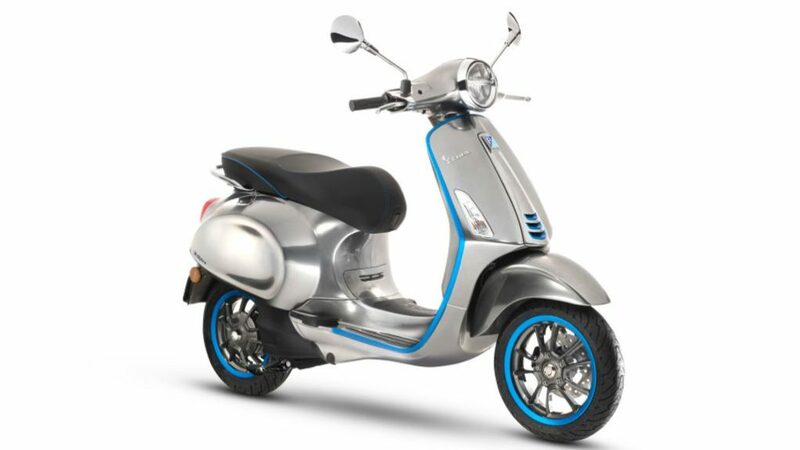 The company will introduce two models of Vespa Elettrica – electric model and a hybrid version. The electric model comes with a lithium-ion battery and a single electric motor producing 2 kW of continues power and 4 kW of peak power, which will be available for limited time. The torque output will be more than 200 Nm and it will be available from the start, which will give excellent performance for this electric scooter and it will be on par with its petrol-powered siblings. Vespa claims a range of around 102 km and it can be fully charged in four hours using the standard charger and the cable is stored in the compartment under the seat. The charging port is located at the same place where the fuel cap was earlier. The lifetime of lithium-ion batteries in the scooter is 10 years or 64,374 km, after 1000 charging cycle the capacity of the battery will be reduced to 80 percent and by the end of its life cycle, the range will be low just like our smart phones. 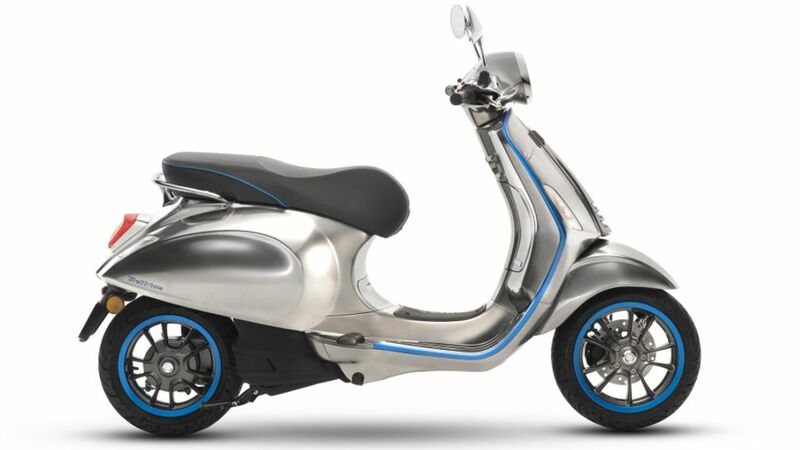 The hybrid variant of the Vespa Elettrica will also come with petrol powered generator, which will help the scooter to improve its range. The electric range of scooter is 50 km and using the generator, the range can be extended to 193 km, which is more than regular Vespa models and the company expect it to be more popular among customers. The electric and hybrid scooter also comes with a 4.3 inch TFT display, which can be connected to a smartphone and it comes with a twilight sensor, which can adopt depending on the surroundings. The app helps the rider to get notification of incoming calls and messages with a dedicated button in the console to answer call. The comapny will also offer a Jet helmet with integrated earphones to the buyers of the Vespa Elettrica.